Braehead Clan's head coach Ryan Finnerty admitted he is frustrated at only playing one game at the weekend. For the second week in a row, the Glasgow side played just once and now they have to wait another week to get rid of the bitter taste of defeat. 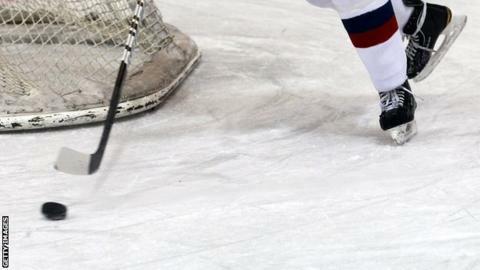 The Clan suffered a penalty shots loss to Belfast Giants on Saturday. "We have to wait another week to get back on the horse and I prefer having two games to play in a weekend than one," said Finnerty. "It makes the preparation for the next game slightly longer and we're going into another one game week when we play Coventry Blaze in Glasgow. "But, it was frustrating not to get the two points against Belfast and I thought we played pretty well and had good chances to close the game out. "I feel bad for the guys because we worked and battled hard and on any other night, we would have won comfortably. In the end, we've scraped a point which is frustrating." The Clan took Giants all the way in a Halloween Challenge Cup thriller, but were on the losing side from penalty shots after a 3-3 draw. Matt Nickerson smashed home an excellent shot to open the scoring, before Alex Leavitt drew the Clan level shortly after. Clan forged ahead through goals from Thomas Nesbitt and Scott Pitt, but the Giants restored parity through Mike Forney and Adam Keefe. Neither team could be separated after regulation time and penalty shots were required in the end, from which Colin Shields and James Desmarais were successful to clinch both points for the visitors. It was three defeats on English soil in four days for Edinburgh Capitals, who ended their mini-tour with a 5-2 loss at Manchester Storm. After being beaten by Nottingham Panthers and Coventry Blaze in matches earlier in the week, the Caps were looking to get back on track at their Gardiner Conference rivals. But it wasn't to be as Matt Caria and Paul Phillips put Manchester in front in the first period, before Taylor Dickin pulled one back for the Capitals in the second. Mathew Sisca restored the two-goal advantage for the home side, with Jacob Johnston keeping the Caps in it with another strike. However, another one each from Sisca and Caria killed Riley Emmerson's men off late on as the Storm took the points. Fife Flyers hosted Dundee Stars and despite throwing away a three-goal lead to their rivals, they recovered enough to take both points in overtime. It was three wins in a row for the Flyers and seven points from a possible eight as their turnaround in form continued. They could thank Justin Fox for achieving it for them as his overtime winner sealed the two points for Fife as they scraped past the Tayside outfit 4-3 after the extra period. The Flyers took advantage in the first period as Ryan Dingle and Fox both found the net and the visitors were two up. Shayne Stockton added a third early in the middle period, but Curtis Leinweber gave Dundee a lifeline with a finish followed by Kevin Hart, bringing the Stars to within one. The game was even early in the third as Justin Faryna scored Stars' equaliser, but overtime was needed, where Fox completed the job for the home side. Dundee returned to Tayside on Sunday and Belfast Giants, fresh from their success at Braehead on Saturday, were there to meet them in what turned into a 13-goal thriller. Giants won it 7-6 in the end, needing overtime and a hat-trick from their Scottish forward Colin Shields to complete their four-point haul north of the border. It was backwards and forwards as Adam Keefe's opener from Belfast was cancelled out by Lou Dickenson, before Craig Peacock's goal was nullified by Justin Faryna. Belfast went ahead again through Kris Beech, with Faryna again equalising while Shields' first was levelled by another from Dickenson. Curtis Leinweber put Dundee ahead of the first time, but the Giants turned it around again through Shields and Beech before Doug Clarkson's goal sent the game into overtime, where Shields nabbed the winner.